Some cross stitchers love to plan their Christmas sittching throughout the year; while others thrive on the rush of a time crunch. Any time of year is the best time to cross stitch for the Christmas season. 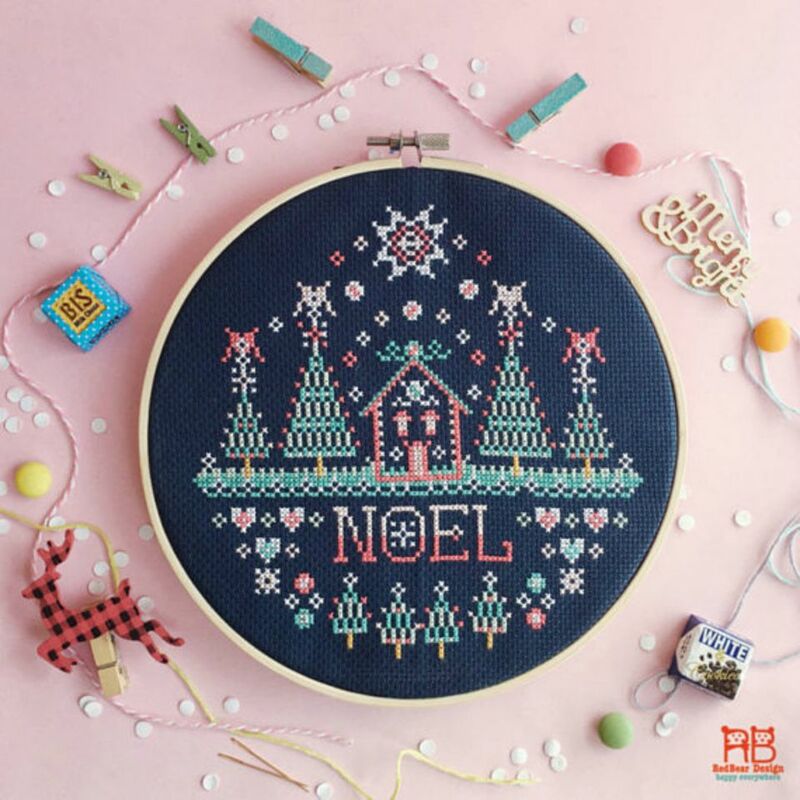 Whether you want a whimsical holiday setting or a traditional Christmas scene, there is a cross stitch pattern out there for you. To really get into the Christmas spirit you need to set the scene. You need snow, a sleigh ride and Santa Claus. 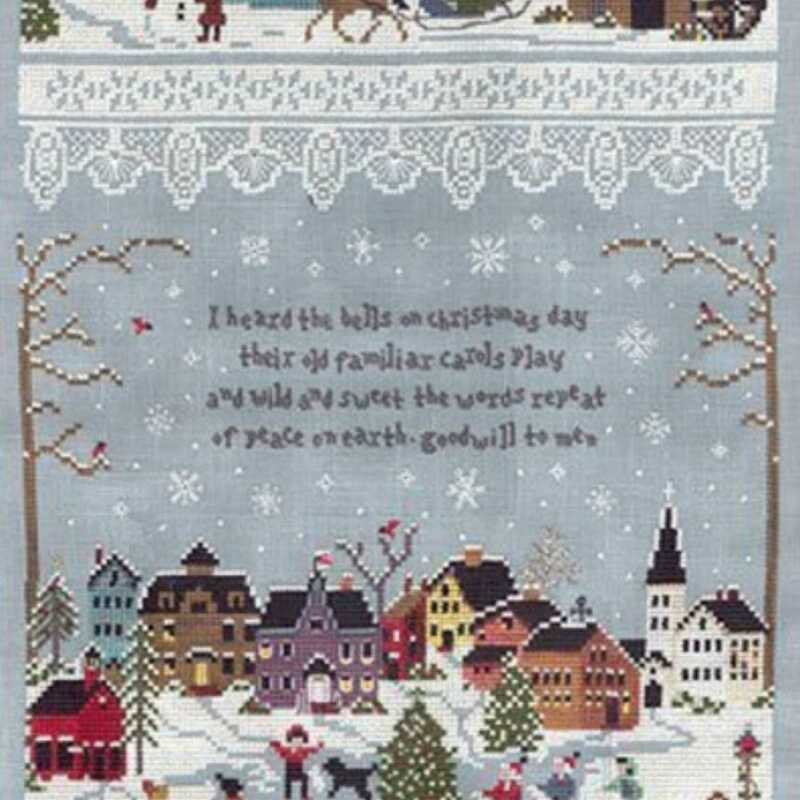 Victoria Samplers has created the most beautiful and detailed Winter Wonderland pattern. The lace separating Santa from the village is so delicate. This is a very detailed pattern so starting it early in the year is a good thing! Another idea is to give this pattern, along with all the supplies, to your favorite cross stitcher. A Christmas Story is not only one of the best Christmas movies out there, but watching it for 24 hours straight, is also a tradition in many households. It ranks up there with White Christmas and Miracle on 34th Street. A BB gun...that's all little Ralphie wanted, a simple BB gun. His poor mother just knows that he will shoot his eye out. Knerdly Knits's pays homage to the theme of the movie with it's "You'll Shoot Your Eye Out" sampler. It is kitschy and cute. Give this cross stitch, along with a pink bunny suit to your favorite little wrangler. Another Christmas classic is the movie Elf. The story of a big elf, finding his dad and love in New York City.It is the a great family friendly movie. It has quickly become a favorite among Christmas films. Wee Little Stitches shares her Elf inspired patterns to stitch up for free. You can choose between three sayings, or use your own. This is a quick stitch and make a great gift. These patterns also make great gift tags and ornaments. Invite friends over for a cross stitch and movie night for an extra fun make and take. Handmade gifts are always the best. They show the recipient that they are worth your time and effort. Whatever you make for that someone special, add that little cross stitch touch with a very special gift tag. These gift tags are free for download from Free Patterns. Once the gift is opened, the gift tag will look great on the Christmas tree as an ornament. Are you looking for something that is non-traditional and whimsical? Red Bear Designs has the perfect pattern for you. Her Noel pattern mixes vibrant color with a fun design. This is just one of the many Christmas themed cross stitch patterns she has in her Etsy shop. You can stitch several of them for a festive wall display. A little Christmouse wants to make sure that you have a happy holiday season. This adorable free pattern makes a great topper for handmade perishable gifts. Everyone has mason jars around the house. Fill them with a favorite treat and add this pattern as the finishing touch You can also use the lid as a frame for an ornament. Rustic Christmas images have become popular in the recent years. A perfect example is the Christmas ornament by Living on the Rainbow. A Christmas tree tied to the top of a car reminds us of a simple but fulfilling holiday. This pattern would also be wonderful on cards or as a part of a cross stitch Christmas town. In a bustling world, sometimes a simple sentiment is needed. Craftown has a free pattern that is perfect for sharing the happiness of the holiday season without going overboard. This Merry Christmas pattern would be beautiful as part of a wreath or a table runner. It is a great pattern for both beginners and the more advanced cross stitcher. Want a different twist on your Christmas tree this year? Why not cross stitch an angel for the tree topper. This free pattern from Kreinik is the an elegant addition to your Christmas tree. Use perforated cross stitch paper to make this project sturdy and able to use for years to come. If you want to really get crafty, you can make your entire tree cross stitch themed. You can customize your angel with different hair color and dress. Give a little bit of yourself with Christmas cross stitch projects. No matter what design type you love, the gift will be cherished by the recipient for years to come. Happy holidays!